The opening round of the BFGoodrich CAMS Australian Off Championship (AORC) is closing in as crews prepare for the Cobbs and Co Hotel St George 399. 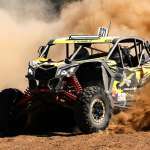 With more than 70 drivers taking part in first round of the AORC, aorc.com.au previews some of the classes in the third and final edition. The biggest class of the Championship is not shy of talent this year and features a number of brilliant drivers who will compete not just for the class victory, but the outright victory. Toby Whateley leads the 24-car field and will be more motivated than ever after finishing outright second last year and claiming a historic SXS section win. Whateley’s biggest challenges this year will come from Phill Lovett, Greg Campbell and Jeff McNiven. Like Whateley, Lovett was one of the stars last year after taking out Prologue and continuing his blistering start into the first section, finishing just behind Whateley and ending the event in third outright. In 2017’s event, Campbell came third behind Whateley before going on to win the class outright at season’s end thanks to his consistency. Last season, his year wasn’t as strong but he applied pressure on Whateley all year round and he will most likely do the same this year. As for McNiven, he finished behind Campbell at last year’s St George 399. He may not have had the best of runs, but he is certainly no easy beat. During the 2017 season he won the class in Rainbow and finished inside the top 10 last year. A host of other names return to the event such as Nick Jackson, Sybrand De Klerk and Robert Scott, while last year’s podium placer Luke Shadbolt moves into the passenger seat as his co-driver Allen Henson takes on driving responsibilities in 2019. 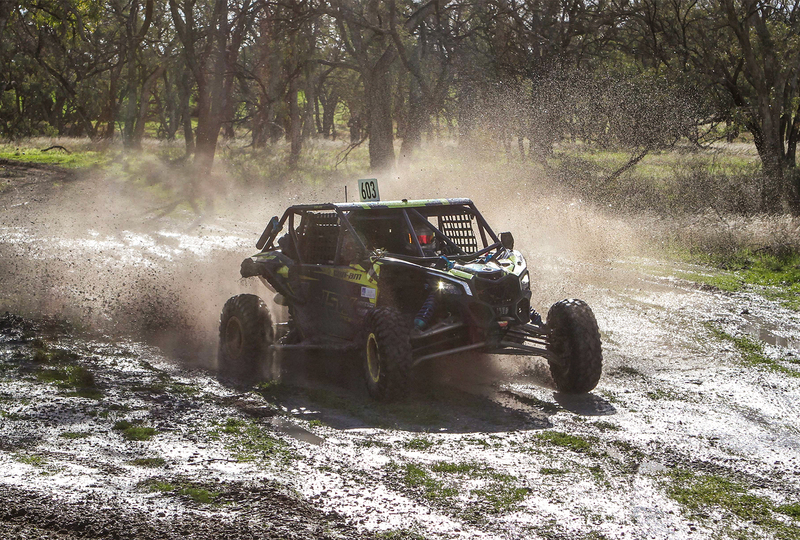 A host of well known off road figures will be making their St George 399 debuts with 2018 CAMS DEWALT SXS Australian Championship winner Simon Evans and New South Wales regular Jay Neate entering the fold. The SXS Sport class has four returning drivers from last year with class champion Rick Chambers leading the pack. 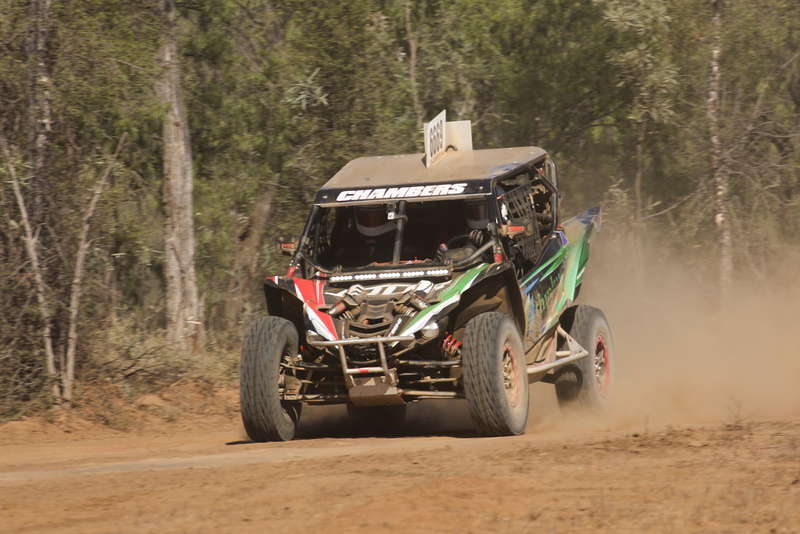 Chambers enjoyed a brilliant debut season last year after switching over from quad bikes. His memorable season started in St George when he came second behind Zachary Marsh, who has since moved to the SXS Turbo class. Both drivers were two of four in the class to finish the whole event and Chambers’ biggest threat this year will be through another finisher in teammate Brad Geraghty. After only competing two-laps last year, Mel Brandle is one driver with a point to prove in 2019 and will be keen to finish the event for the first time. 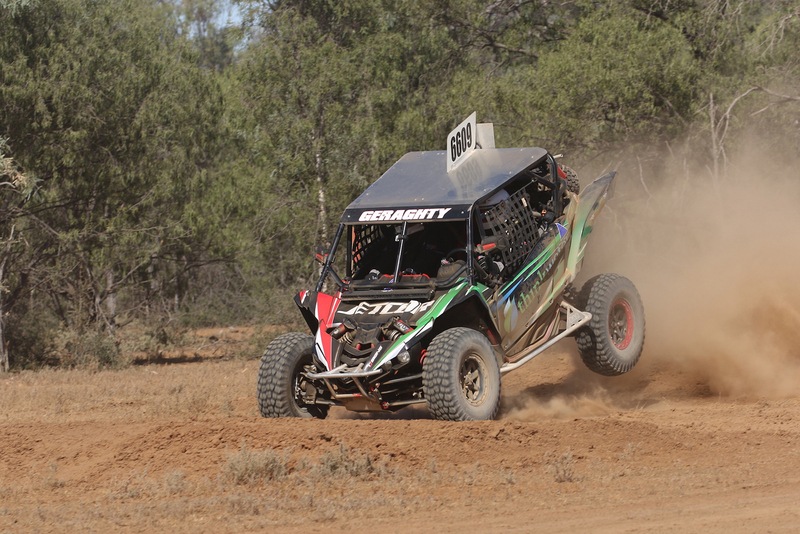 One of the smaller classes in the Championship, two drivers from outside Queensland will be battling hard over the course of the weekend as they make their driving debuts in 2019. Coming in from the Northern Territory is Patrick Geraghty, while Steven Graham will be making the journey from New South Wales alongside co-driver Daryl Graham for their first attempt at the season opener. Out of the two drivers, Geraghty will be going into the round with more confidence for a stronger result after competing at St George last year as a co-driver for Rick Chambers, the duo ultimately finishing second in the class.